Sometimes the setup program fails to install the printer driver it needs to function properly. The reason behind this error is often hard to locate but it can be related to missing drivers in the Windows installation. 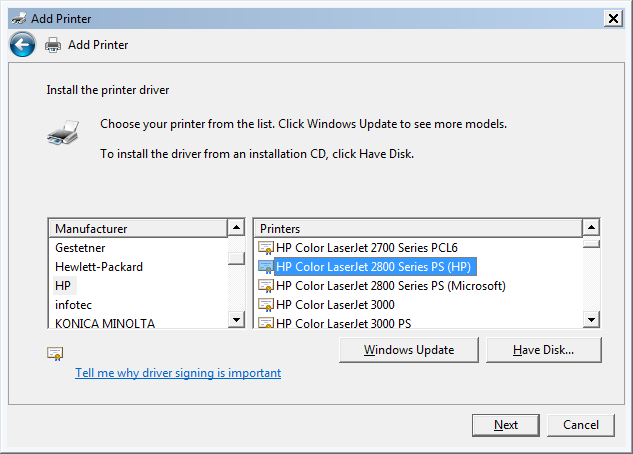 A normal Windows installation contains a list of common printer drivers. If these drivers are not on the system then the setup will fail. When printer driver installation fails, you can sometimes see messages such as AddPrinterDriver returned 87 in your installation log. On Windows 8.1, one of our users reported an error 0x00000490 Element Not Found. This is a short guide on how to overcome this problem if it occurs on your system. The normal way to try to solve it is to manually install a printer of the correct type and let that printer print to a file. After this printer is setup manually, the PDF printer will use the already installed driver and get past the step where it previously failed. 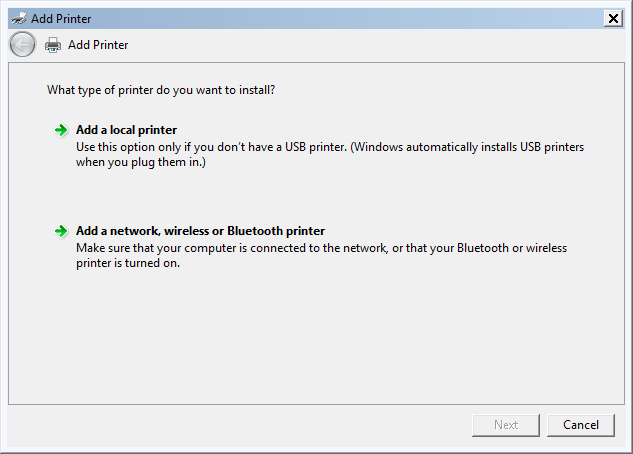 To start the printer installation you select Run from the start menu or press Windows+R. In the run box, you enter the following command and click OK. It may take a while but the "Add Printer" wizard will show up. Depending on your version of Windows, it may look a little different from the one shown below. Click the Add a local printer option. Select FILE as the port and click next. Depending on your operating system, you should choose different drivers. After you have selected the correct driver, you continue and finish the wizard. Do not share your printer when you are asked if you wish to share it. When you have finished this wizard, you can try to run the setup program for the PDF printer again. The printer you installed through the Add Printer wizard can be deleted after the setup has finished. Manual Installation Fails - What Can You Do? In case the manual installation fails, you can try other things. You can try to install another PostScript printer driver and then tell the setup program to use that driver. If all your drivers have been removed from your Windows installation for some reason then you can still download a driver and use that. The HP Universal Print Driver for Windows PostScript is a good example of a generic printer driver that supports PostScript. You can use one of the links below to download the driver. It is important that you select the edition that matches your installed operating system. Go to HP Universal Print Driver for Windows PostScript (x86) to download the HP Universal Print Driver for Windows PostScript for 32-bit systems. Go to HP Universal Print Driver for Windows PostScript (x64) to download the HP Universal Print Driver for Windows PostScript for 64-bit systems. 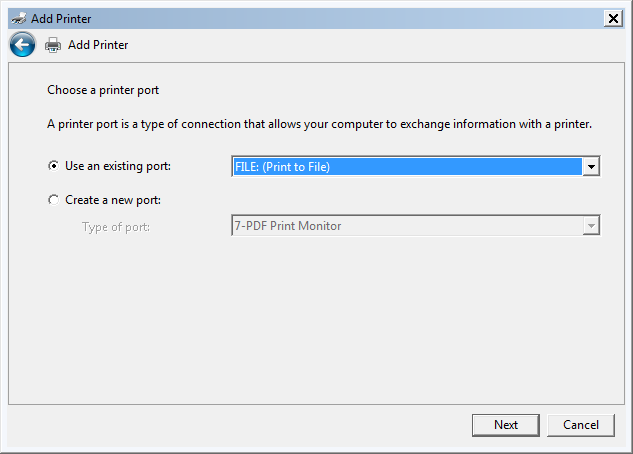 After installing the driver, you can run the PDF printer setup again and specify the installed driver. Setup_BullzipPDFPrinter_10_3_0_2206_PRO_EXP.exe /driver="HP Universal Printing PS"
Your installation should now run to the end without complaining about the driver.